CORNISH CRABBER 22 Gaff Built 2000 by Cornish Crabbers Sail No. 22, Dark Blue GRP (regularly anti-fouled), off-white deck, lifting keel (up 2'4"/down 5'_), LOA 27' with bow sprit which can be raised with dedicated halyard. Yanmar 2GM20 twin cylinder 18HP (upgraded to larger than standard engine) diesel, shaft driven inboard engine. This is rarely available 2 + 2 berth version of the Crabber which has sensibly designed accommodation for 2 adults; giving a larger saloon and living space than the standard 4 berth version with a Sea Toilet in the Focsle and space for a further 2 berths for children if required. Varnished timber offset by matching interior and cockpit beige cushions. A neat galley area comprises 2 burner hob with grill, stainless steel sink with cold water. The extending leaf saloon table can double as a chart table. Overall the feeling sitting below is of space, comfort and quality. Tan mainsail, slab reefing, tan furling jib (new 2014), bowsprit can be stowed vertically via a dedicated halyard. 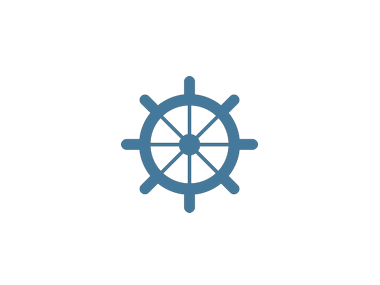 Equipment includes: pulpit, guardrails, stern rail, boarding ladder, 2 x batteries, anchor with chain and warp, warps, fenders, winter cover (on request), depth sounder, compass, navigation lights, windex at masthead, Icom ICM323G DSC VHF with masthead aerial, 12v cigar socket, shore power. The Cornish Crabber 22 is a natural progression for the Shrimper owner, who wants to continue all the enjoyment and charm of the classic Shrimper world with the added potential for sailing further in greater comfort and with less effort. “Dignity” has spent most of her life being sailed from Chichester harbour. She is safe and easy to move around with her wide decks. She can be sailed single handed and the self-draining cockpit helps keep your feet dry. 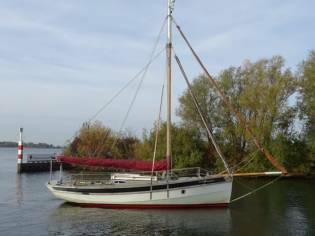 Having been very well maintained and lightly used, this is a great opportunity for someone to buy with confidence a boat with good provenance and in excellent condition at a very competitive price compared to when new. This rarely available 2 + 2 dock version is sensibly crafted seating for 2 adults giving a larger bar and living space than the basic 4 dock version. Comfordesk attractive cushioning in bar. Sea toilet forward.The Focs'le is pre-owned for storage and accommodates the sea toilet with space for a further 2 docks for children if required.The inside is tailored out in classic type varnished timber.Ample natural beam is provided by opening hatches & portsThe neat galley area comprises, pair hob cooker with grill, stainless steel sink with domestic water.The extending leaf bar desk can double as a blueprint desk or for entertainingThe overall feeling sitting below is of space, luxury and condition. Equipment includes:Pulpit, guardrails, rear rail, boarding ladder factor tailoredStainless steel Samson postStainless steel tabernacleSix mooring cleats, 2 amidships - essential for ease of coming alongside and making single handed so much easierSelf draining cockpit is practical, locker and spacious with ample compartment for 4 x adultsHull epoxy copper coated from fresh2 x batteriesManual bilge pump20 lb. mainstay with chain and warpWarps and fendersWinter coverDepth sounderCompassNavigation beamsWindex at mastfrontIcom IC M323G DSC VHF radio with mast front aerial12v cigar socketLifebuoyFire extinguisherManual bilge pumpInfladesk dinghy by apart negotiation. 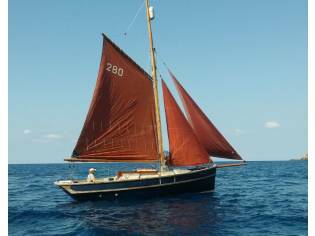 The boat Cornish Crabbers Crabber 22, with a sale price of 32.323€ has dimensions of 8,10m and 2.4m. It is a sailing cruiser of the year 2000 and located in Bavaria (United Kingdom).